Below you’ll find our free 3×3 printable Christmas Bingo. This game and all the rest of the printables on our site are original, exclusive, and best of all – free for your personal use. The Bingo rules are quite simple. 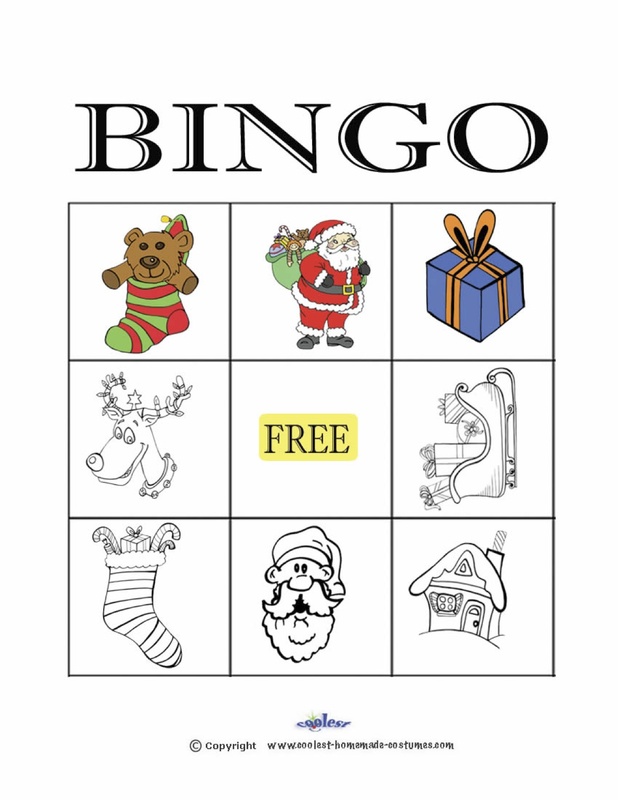 Each person gets a bingo card (we have 3×3, 4×4, and 5×5 Christmas bingo cards for you to print). Each of these bingo cards is different and has a random selection of pictures (we have 40 different cards). When someone finds a matching picture on their Christmas bingo card, they mark it out with rocks, pennies, stickers, etc. Once someone is able to fill out the predetermined pattern, that person yells out “BINGO” and wins a prize. You can also make this Christmas bingo game educational. For example – the caller picks out a Santa picture. All the people who have that Santa picture get up and gather into a group. The caller asks them any type of question (best if it has something to do with Christmas!! Anything relevant to the age group – could be spelling, history, math, even something physical they need to do – like hop on one foot, etc. ).